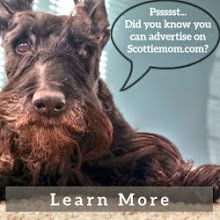 There isn't much more that a girl could want besides a Scottie friend (or two...or three or four!) and to be surprised with flowers just because, right Scottie Moms? Well, ok - I'm sure there are a few other things on the wish list. Every now and again, we get lucky and life gives us one of those wishes. 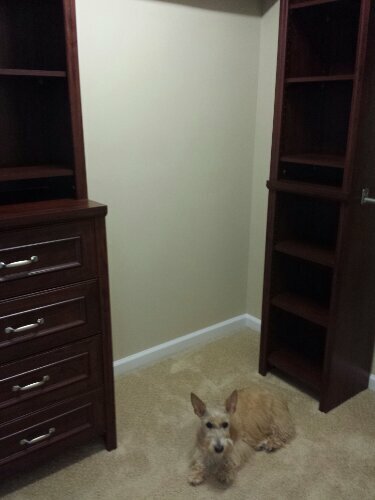 This weekend, Mr. K and I helped put the finishing touches on the Scottie House project that has been keeping us away from our friends and, as a result, Scottie Mom got one of her wishes: a custom closet! You see, shortly after we moved into the Scottie House, Scottie Mom realized Scottie Dad's furniture from his bachelor days just wasn't going to cut it. There was only one bureau and one nightstand. 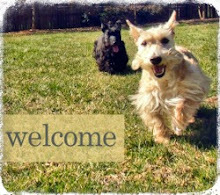 (Scottie Dad sold the other before he met Scottie Mom - silly guy didn't think he would need it.) 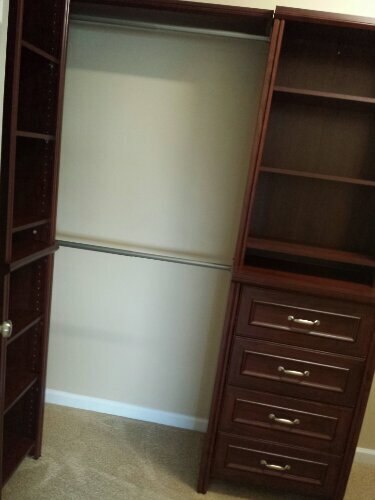 Luckily, there was an empty walk-in closet just waiting for us to add shelves and drawers. So, I took it upon myself to watch over Scottie Mom assembling the drawers and Mr. K barked orders to Scottie Dad as he nailed stuff to the wall. Finally, a few weeks later, we were finished and I got to lounge in the glory of our hard work. 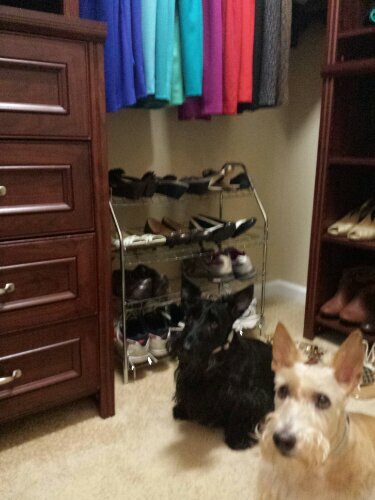 Now, as you can see from the photo above, this Scottie House project wasn't without setbacks. Just as the last pieces were being fastened, Scottie Dad misstepped and knocked over a gallon of paint. See the stain? 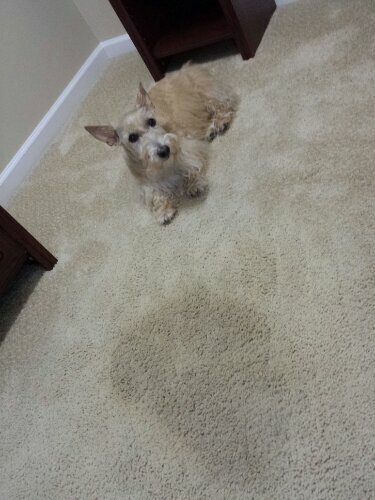 I must say, Scottie Dad, your mess is a lot bigger than the ones I leave you on the floor sometimes! Much to his surprise, Scottie Mom wasn't upset. She smiled - and so did I - because she knew we had a secret weapon from when we first moved in and we broke the rules by hanging out in (and consequently christening) the master bedroom: the Spot Bot. Stay tuned for the carpet cleaning results. Love, Heather Beather. Now to get the "goods" on Scottie Mom. Be vigilant and you'll have her where you want her. You are both very good snoopervisers! PeeS. You need to remember that spill and remind Scottie Dad of it... You know, when you need to!